Banjul is the capital city of Gambia and amongst the most popular tourist destinations in the country. The city is situated on a unique island located at the point where the Gambia River ultimately lands in the Atlantic Ocean. The city has an amazing colonial history reflected in its wonderful architecture and design. The important colonial buildings of Banjul are known to provide the visitors with an amazing insight into the nation's history.The National Museum of Gambia is an exceptional place dedicated to the monumental history and culture of Gambia. The Albert market of Banjul is a must visit sight known for the provision of flamboyant textiles and local products. 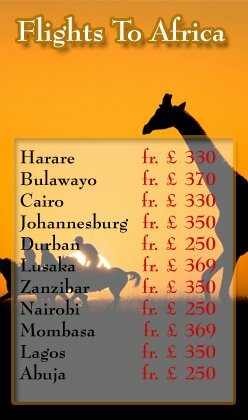 The market should be on top of your visiting list whilst your stay at the city. Moreover, the columned Arch 22 monument and gateway to the city is special as it is considered to be the main entrance. Furthermore, the natural destinations of the city are an important part of the city's tourism and offer massive amusement to the guests. The popular natural destinations of the city include the Kiang West National Park, Abuko Nature Reserve, and the Bao Bolong Wetland Reserve. The Museums of the city include the Gambia National Museum and the Kachikally Museum and Crocodile Pool. 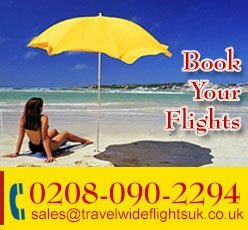 We at TravelWideFlights are providing the people of the United Kingdom with Cheap Flight Tickets to Banjul, Gambia. The Airlines traveling to the city are amongst the top Airlines of the world including Air France, Kenya Airways, Royal Air Maroc, and the British Airways. We are also providing cheap bookings in hotels of the city. Contact us for further assistance.